In a nutshell: The iPad Mini 4 is the King of compact tablets. Impossibly thin, lighter and faster than before, and with outstanding front and rear cameras, the Mini 4 has the power of a full-size tablet in a compact form factor. With the ease-of-use of iOS9 and the extraordinary number of apps available, it's the tablet to choose if the price isn't a problem. Just be sure to think carefully about whether the 16GB version will be adequate. Good news! The iPad Mini 4 is a proper upgrade to the iPad Mini 3 (which was almost identical to the iPad Mini 2.) There are real improvements here, and the price is about the same, so now is definitely the time to buy a new iPad! 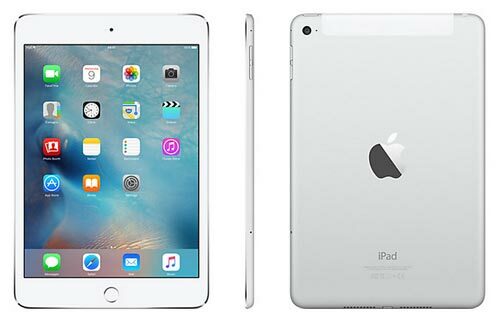 Available in Silver, Gold or Space-Grey, the iPad Mini 4 is built to Apple's usual demanding standards, with an aluminium unibody construction. There's a comfortable amount of space around the screen, making the tablet really easy to handle, and it's impossibly thin, at just 6mm, which is about 20% thinner than the previous version. It's 30g lighter too, and is just superb to hold. Purpose-made Smart Covers are available in a wide choice of colours. 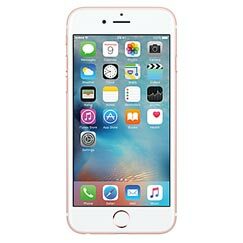 The home button includes Apple's Touch ID fingerprint identity sensor for extra security, and ease of access. Touch ID also lets you make secure purchases in iTunes, iBooks and the App Store. On paper, the tablet has the same Retina display as previous iPad models. It's a 7.9 inch screen with a respectable pixel density of 326ppi. But in fact, Apple has opted for a fully laminated display that is noticeably crisper than before. 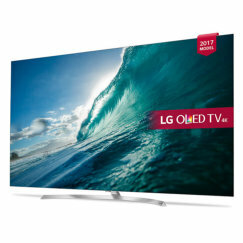 It really is an outstanding screen, with excellent colour quality, plenty of brightness, and fast response times. The new iPad comes with an A8 second-generation chip with 64-bit architecture and an M8 motion coprocessor, making it 30% faster for processing and up to 60% faster for graphics. Very usefully, the RAM has been doubled from 1GB to 2GB. You'll find no problems with the processing power, and the fast graphics will let you play the latest games. As usual with Apple products, the device comes in a choice of 16GB, 64GB and 128GB versions. The 16GB will quickly fill up if you download a lot of apps, but choosing the higher memory versions really pushes the price up. Frustratingly, there's no memory card slot, so you can't upgrade at a later date if you need more space. 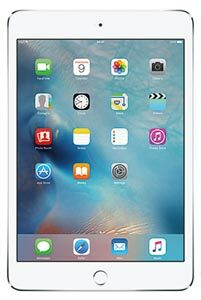 The iPad Mini 4 comes pre-installed with the latest iOS 9. iOS 9 includes new multi-tasking features - Slide Over, Split View and Picture in Picture - and has better text selection and formatting, with QuickType. It's also more energy-efficient than before, helping to stretch that all-important battery life. The App Store is bigger than ever, and you'll find all the productivity, multimedia, music, video apps and games that you could want here. The front-facing FaceTime camera has a new sensor with larger pixels and a wider aperture for capturing more light. It's a 1.2 megapixel camera that can capture HD video, and supports FaceTime calling to other iPads and iPhones. This camera performs well, with face-detection and BSI to ensure that photos and videos are clear and sharp. A new burst mode that can capture 10 photos per second has also been added. 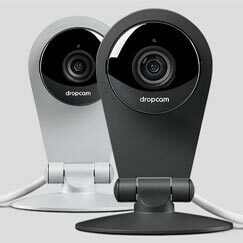 The rear-facing iSight camera has been upgraded to 8 megapixels, and is excellent for a tablet. 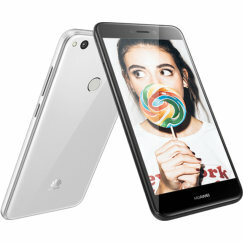 It includes features like BSI, HDR for low-light image capture, face-detection autofocus, panorama mode and a new burst mode. It can record video at Full HD 1080p resolution, with video stabilisation and a new slow-motion feature. The relatively compact size of the Mini 4 makes photography a real option, and so it's good to see Apple equip the tablet with a hefty camera. There are built-in editing and sharing options too. It's almost - but not quite - as good as a dedicated digital camera. As well as choosing between the three colour options and three memory options, there's another choice to make - Wi-Fi only, or Wi-Fi plus 4G. The 4G LTE version costs £100 more and makes the tablet truly portable. Both versions include Wi-Fi, Bluetooth 4.2, a 3.5mm stereo headphone mini-jack and a Lightning connector. The Wi-Fi is the fastest currently available, supporting dual channel (2.4GHz and 5GHz) and MIMO, giving theoretical data transfer speeds of up to 866Mbps, if your local network can handle it. Apple claims the same 10 hours of battery life for all its iPads, yet the iPad Mini 4 uses a significantly smaller battery than previous models. It's a 5,124mAh single-cell battery generating 19.1-watt-hours of energy. The iPad Mini 3 had a 6,471mAh double-cell battery rated at 23.8 watt-hours. That's a 20% drop in juice. We'll go with Apple's claimed 10 hours of use, but caution that this should be regarded as a maximum under ideal circumstances. It was time for a serious upgrade to the iPad Mini, and with the Mini 4, that's been delivered. The price has been held constant, but the latest iPad is thinner, lighter, faster and has a better camera. Ideally we'd have liked to see more memory on board, but Apple is traditionally mean when it comes to memory. We considered deducting one star because of this, but on balance, the device is so good that it deserves its full 5 stars. 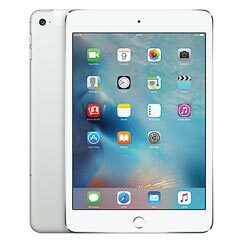 It's hardly cheap when you consider that you can choose from tablets that cost half the price of the basic 16GB Wi-Fi only iPad Mini 4. But if you don't mind spending more for quality and ease-of-use, you won't go wrong with this latest iPad. Having said that, give some serious thought to whether the 16GB version will offer enough storage. There's nothing worse when buying a new tablet than finding out that you've filled up all the available space and can't download anything new. If you're not wedded to Apple's ecosystem, you should also consider the Samsung Galaxy Tab S2, which comes with 32GB of memory and a memory card slot to add even more at low cost.